Never remove infant or orphaned animals from their nest unless you are SURE that they are truly injured or orphaned. To help you be sure, check the information below or call us at 905-729-0033. Procyon Wildlife is always in need of help. Monetary donations, Volunteering, Donations of Products and Services are just a few ways you can be of assistance. Our Sponsor an Animal program is a wonderful way to support Procyon and an orphan baby until it is released. It makes a wonderful gift for that animal lover on your list. Found an Animal in Distress? 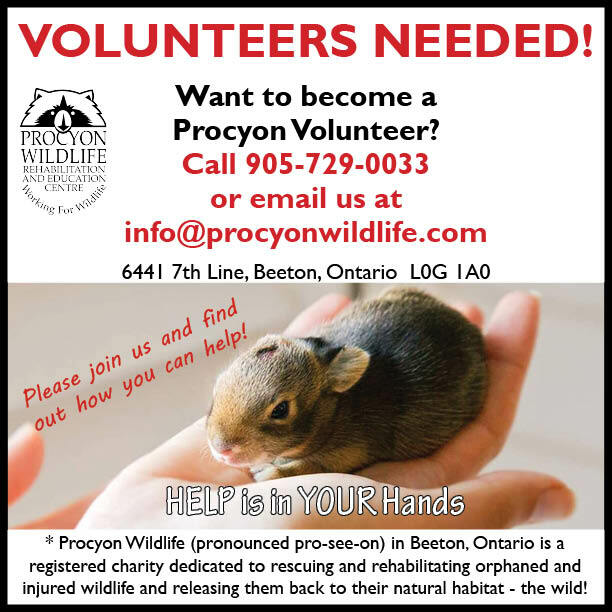 For all injured or orphaned animals, contact Procyon by telephone at 1-905-729-0033. Help Us Keep Them Wild and FREE! We provide the necessary supportive, medical, and surgical care to these animals so they can resume their normal function and be returned to their natural habitats. Soon, Procyon Wildlife Centre will be flooded with orphaned and injured wildlife. In preparation for this busy season, we are looking for volunteers to care for our wildlife. Procyon Wildlife Rehabilitation and Education Centre now offers educational programs geared toward school age children and adults interested in learning more about local wildlife. A lot of needless suffering and pain can be eliminated with education about wildlife and by learning how we can coexist. 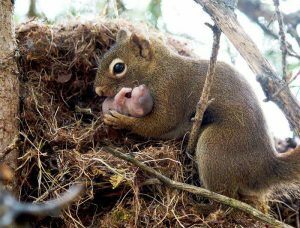 Babies flourish best with their mothers… BUT sometimes, circumstances such as thunderstorms, tornadoes, floods, fires, speeding cars, environmental change and loss of habitat due to construction can result in orphaned and injured wildlife. Sadly, human intervention is one of the reasons why babies become separated from their mothers, often due to lack of knowledge. How to determine if a baby wild animal or bird is truly abandoned. What to do when you find a wild animal in distress. 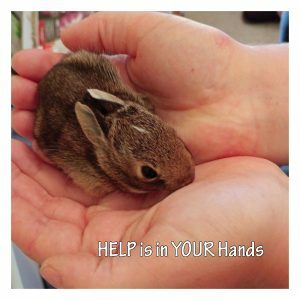 Why you should call a Wildlife Rehabilitation Centre for help before calling a Wildlife Removal Company. The characteristics of Ontario wildlife, for example raccoons, coyotes, foxes, groundhogs, bats, minks, weasels, squirrels, chipmunks, skunks, deer, rabbits, turtles and opossums. Success stories of how we have saved and rehabilitated wild animals, and returned them safely to the wild. Why littering can be disastrous for wildlife. What you can do to help wildlife in need, for example, organize a fundraising event through your school or business, or become a volunteer.